This interlocking ring is a sculptural sensation! 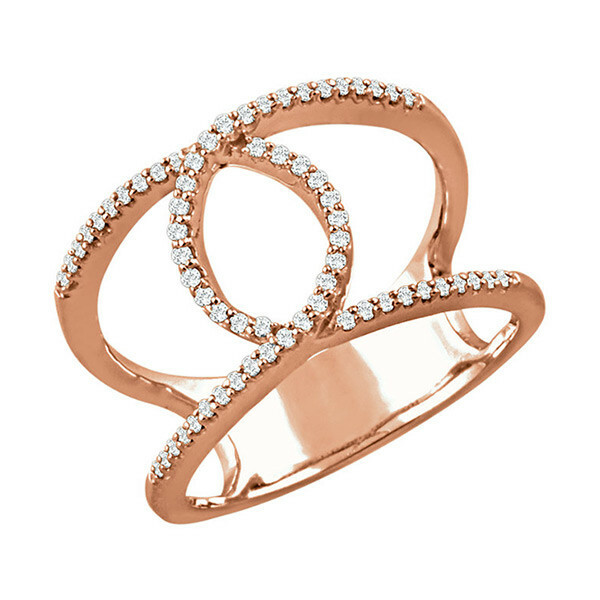 Crafted in 14kt rose gold, a sinuous, continuous loop of diamond dotted precious metal wraps your finger in a wide, open piece of jewelry with a graceful marquise shape at its core. This ring is wholly interconnected, and you will feel an instant connection to its captivating design.